Pricing based on monthly email volume sent. Save on 3, 6 & 12-month plans. Pros: To me the pros are: Free 9000 monthly email send Amazing email automation for email courses etc. Fast and helpful customer support Responsive email template: I tested the emails on my PC, tablet, kindle tablet and phone and it looked great. Cons: After I created my email course I received no notification to let me know if someone had signed up to my course or if they had completed the course. I contacted customer support and was told that they didn't have such option on their platform yet so I'll have to manually track my subscriber activities through the contacts section and automation log. I wish the signup form were as fluid and fully customizable as MailChimp's especially the ability to use an image as the header of a signup form. Overall: I use the SendinBlue free plan that allows me to send 9000 emails monthly. I rely on SendinBlue solely for their automation feature (PS: It's still in Beta). It's rare to find a free email marketing service that offers automation which was the reason why I signed up for SendinBlue. I still use MailChimp but I'm starting to find myself using it less than I did before SendinBlue. It was simple to do, all I had to do was create the templates for each email and select them when creating the workflow and tada my course was good to go. I had to validate my account by answering a few questions such as where I got/will get the emails on my mailing list from. Once I sent them a link to the sidebar and fly-in widget on my website for the email course, to prove that I wasn't spamming anyone or buying lists, my account was validated. I wasn't happy that SendinBlue doesnt have a direct integration on Facebook, to include a tab for getting fans to subscribe, so i contacted them on facebook and they replied with a solution. Recommendations to other buyers: There are several free email markting softwares in the market such as Mailchimp, Targethero, and benchmark. I'm sure there are more out there but these are the ones i've used. I think choosing an email marketing software depends ont he features you need, I need drip campaigns hence Sendinblue is the best option to me. Thank you for taking time to share such detailed feedback about your experience with SendinBlue -- it's so helpful to learn from our users! I did want to let you know that we have a new tool available in Automation that might be helpful as you monitor your contacts' progress through your course. I hope this information is helpful, however please don't hesitate to contact our customer care team (contact@sendinblue.com) if you have any questions. We'll be glad to help! Cons: You cannot send a text explaining something, in the email test. 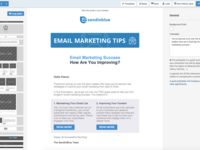 Overall: I think SendInBlue is an excellent tool for use in Email-Marketing. Its very user friendly and it has all the important features you need to do a good job in managing the newsletters. But for me, the most important point is the Customer Support: is AMAZING! They really do an effort to help you in all you ask. 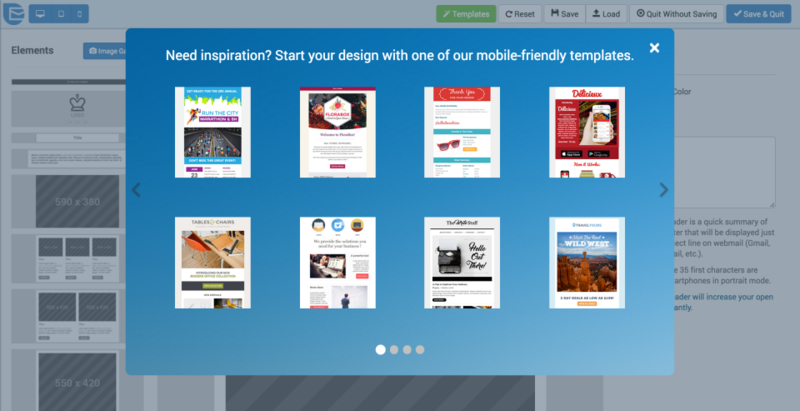 If you have to choose an Email marketing tool, SendInBlue is the one to choose! Our team is always working behind the scenes to grow our tools with new features and improved designs, so that we can give our users the best experience possible. I¿ve shared your suggestion for improving the Test Emails with our team, so we can consider this in our upcoming updates. If you run into any questions, or would like to share additional feedback with us, please don't hesitate to contact our customer care team. You can reach us anytime at contact@sendinblue.com -- we'll be glad to help! I would like to relay on you! Overall: For me and my company the high availability is very important. Generally our experience is good with you guys, you offer great products, but sometimes we have to get in contact with you to solve some connection issues or deley problems. Getting in touch is also quite difficult, you don't offer any emergency phone number to contact you in some emergency cases, email respones are slow. We had situation that we had to switch to Google mail for our transational emails, but that was few months ago. Since few months everything works fine and we are happy to use Sendinblue. Thanks for taking time to share your experience with us. We're glad to receive your feedback, so that we can continue improving our service. Our team is always working to enhance our platform, so that we can give our users the best experience possible. I¿ve shared both aspects of your feedback with our improvements team, so we can incorporate those into our upcoming updates. Overall: First, great ability to manage multiple lists, and focuses attention on the acquisition of emails without manual entry. Much better pricing than other software depending on your sending habits. Second, Oftentimes I would have to "save as draft" and go back and edit or duplicate from an existing email because the HTML editing interface would crash. Combined with the inability to do anything from mobile meant it was hard to get out important announcements about events and other happenings on short notice. Maybe not really its strong suite, so still giving 4 stars for overall excellence. We appreciate feedback from our users, especially on areas we can improve to better serve your needs. Whenever a bug is mentioned, we like to investigate and troubleshoot for any improvements that may be needed. SendinBlue's tools are built and optimized to function at 100% usability from Chrome and Firefox browsers for the most robust experience. If you were experiencing buggy behaviors with any of our tools in Chrome or Firefox, we would welcome any additional information you can share about your experience so that these can be resolved. Would you be open to emailing our customer care team at contact@sendinblue.com to share more details? We also appreciate your feedback about your desire for a mobile platform. We will share this with our improvements team for future consideration. Thanks in advance! We appreciate you giving SendinBlue a try. Pros: It's cheaper than Mailchimp for our list size. Cons: The campaign editor is glitchy. I addressed the issue but the devs had other priorities than details (understandably). The API doesnt support server-side double-op-in subscriber registration, but is overall easier than Mailchimp's. Overall: We grew a lot on Mailchimp and it became too expensive for us. We found Sendinblue and it worked well enough for our needs. It has a functional campaign editor that is a bit glitchy and not as polished. But usable enough! Their API (we use the Ruby gem) is simpler to use than Mailchimp with on feature clearly lacking: we cannot register our subscribers server-side AND send an opt-in. Thanks for taking time to share your experience with us! I¿ve shared your feedback about the email builder with our team, and I'm happy to confirm that we already have some great improvements coming very soon! 1. 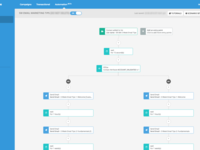 SendinBlue Automation can be used to build a double opt-in process, using the workflow in this post: https://help.sendinblue.com/hc/en-us/articles/211244629. 2. Alternatively, you could use the current API functionality and follow a similar logic as described in the Automation post above. I hope these suggestions are helpful, however if you run into any questions, or would like to share additional feedback with us, please don't hesitate to contact our customer care team. You can reach us anytime at contact@sendinblue.com -- we'll be glad to help! Comments: Send in Blue are excellent bulk email providers, combining common sense with high standards and the sort of value for money that to my knowledge is not available in the industry with any other organisation even approaching this level of quality and service. I must admit I was surprised that they don't offer an im support service, which is pretty common in the industry, but they do respond pretty quickly on email. I did also tell them that I feel they should let new clients know more about their procedures, since I was horrified that my first send hung at 500, having used previous providers where sends just hung and didn't get any further due to technical problems with their systems. It wasn't a problem in this case. They have a standard procedure of halting the send at 500 to check the stats are OK before completing the send. But I did suggest they should tell people that! However it's an assurance that the company is ensuring the continued quality and credibility of its system, which is important for all its clients. And I do believe they are a listening company, so hopefully they will tell new clients more about their procedures. These are hardly major issues though. This is an excellent service and would be difficult to better at any price, and certainly at the prices being charged by Send in Blue. Thanks for sharing your review about SendinBlue! We appreciate your feedback and are glad to hear that our tools have been a good fit for your needs so far. Indeed, we do read every piece of feedback, and will do everything in our power to improve based on what¿s shared with us! Pros: The drag and drop is very intuitive and easy to use. It also has all the features i need to design a good campaign. Automation tools work great and are created in minutes. The transactional email service is the main reason that made me adopt Sendinblue over other platforms. It's a 2-in-1 that i really needed. Support is fast and effective. Cons: There is nothing that i dislike in this platform. Overall: Using mainly WordPress its vital to have a good transactional mail service provider(we can't rely on WordPress solely for mail sending). With Sendindblue i just make sure all my contact forms messages are sent and received..with a good reporting too at Sendinblue side. An excellent low cost alternative to Mailchimp! Pros: Good interface, no limit on the number of email addresses - a good alternative to Mailchimp's subscriptions-based pricing. Cons: The Email designer interface isn't quite as easy to use as Mailchimp's, but it's not a terrible interface by any means. Overall: We took up Send in Blue after working with Mailchimp for about three years. We had no issues with Mailchimp aside from the cost and the fact that it wasn't based in the EU, which after Safe Harbour was abolished and due to Mailchimp being base in the US, made it a service which breached Data Protection guidelines for Academic Institutions. SendinBlue offers most of the features offered by Mailchimp, and its automation feature in some ways is superior to Mailchimp's. The only issues we came across were to do with the Email design interface - ok, but not quite as polished as Mailchimp's. Also, the Transactional Email API, although good and less expensive than Mandrill, wouldn't work with our in-house CRM (more a limitation of the CRM than SendinBlue, but still an issue). It's that limitation which prevented me from giving SiB 5 stars. Overall, and despite those minor gripes, SendinBlue is an excellent service that I have no problem in recommending to others. Recommendations to other buyers: Seriously consider this if you're thinking of using Mailchimp, or moving away from Mailchimp. Thank you for taking time to share your experience with us! I'm very glad to hear that SendinBlue has become an overall good fit for your needs. We also greatly appreciate you letting us know about the areas where improvement would be helpful for you. Our team works actively to incorporate feedback like yours into into our updates! If you run into any questions, or would like to share additional feedback with us, please don't hesitate to contact our customer care team. You can reach us anytime at contact@sendinblue.com -- we'll be glad to receive your feedback and offer help! Pros: Fairly easy to use, but not the most intuitive. Overall: This is an easy to use system for acquiring subscribers and adding them to campaign lists. We use it on a WordPress installation and it works quite well. It is simple to find a user to edit or delete and you can delete from a single list or from your entire database. If you find the need to use the SMTP feature of the WordPress plugin, AND you need to use another email send plugin of some kind, you will likely have a conflict. Recommendations to other buyers: Work on the wordpress plugin to make it play nice with other email plugins. Thanks for taking time to share your experience with us! 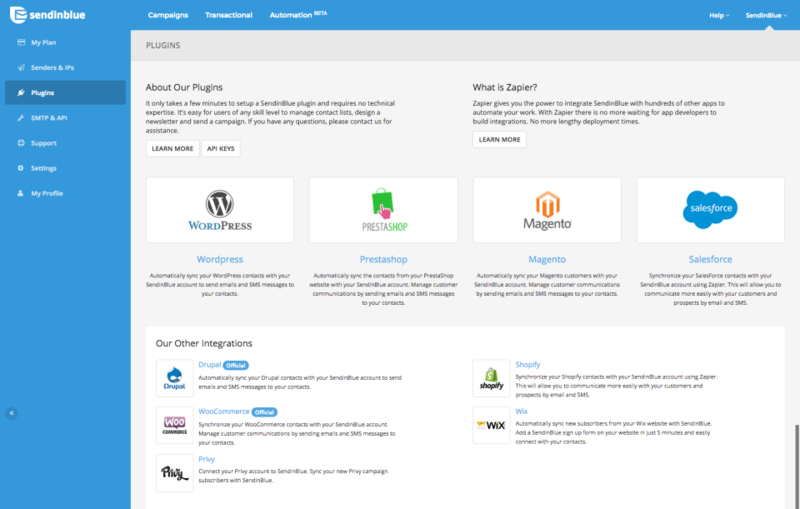 We appreciate your feedback about the WordPress plugin, and will share this with our team. I noticed that you had a challenge with personalizing your double opt-in email template, and I would like to offer some resources that may be helpful for you. If you¿ve completed the steps shown in both posts and are still experiencing issues, there¿s likely an issue that our customer care team should look into for you. You can reach us anytime at contact@sendinblue.com -- we'll be glad to help! Overall: Best price for what you get. The only thing I wish is that more third party plugins and applications incorporated Send in Blue, or ones made by you. I have a pop up download for a handbook on our site that requires an email to download. I had to do A LOT of manual tweaks to make that work on our site with your company, while mailchimp would have been very easy. But overall you offer the best price for what you get. Thank you for sharing your review about SendinBlue! Hearing from our users is the best way for us to learn, and to improve our tools and your overall experience. I¿ve shared both aspects of your feedback with our team, so we can work on improvements for future updates. The most useless email marketing company out there! Cons: Deceptive practices. Lies. Required 15% open rate on the first 500 email sent within 36 hours. (Any large list won't get that rate) They do NOT send to your whole list, only to a random 500. Then most emails end up in the spam folder. They shut you down after 36 hours if you don't reach their open rate requirement , steal your first months payment, and make you unable to use their features. The ONLY solution is to purchase a dedicated and complicated IP, this is a lying, deceptive company and the price does NOT accurately reflect anything. Nobody with any sort of larger sized legitimate eCommerce mailing list will be able to use their service. But they'll be happy to take your money so you can find that out! Overall: This is the worst and most deceptive company I've ever experienced in the email marketing world. I have multiple online eCommerce businesses and I decided to try moving one over to SendInBlue from Mailchimp. I have a very clean and legitimate list of contacts (14500+) that was all organically gathered directly through my website, many of which are actual past customers with purchases! I was "approved", so I purchased their plan, and sent out my first campaign. This "approval" means absolutely NOTHING! My campaign stopped at 500 sends (yours will too) and if you don't meet their 12-15% open rate within 36 hours, they will steal your subscription money, and suspend you from being able to send, period. They do not tell you ANY of this beforehand, and they do this intentionally so that they can steal your first months subscription money! This is legitimately their business model. In order to actually USE their "service" (which is nothing at this point) you have to go through a lengthy and EXPENSIVE process of setting up your very own dedicated IP! What's the POINT? Disgusting. They're the most crooked and irrational company I've came across in a long time. I understand wanting to protect your IP's dignity, but you're throwing away and robbing the WRONG customer here. I have a fabulous open rate verifiable by MailChimp, with abundant evidence of such. I gave them MANY opportunities to correct this issue before seeking further action, and leaving appropriate reviews. Pros: SendinBlue is a nice tool for marketing automation, which is also available in several languages and covers most of the features you would expect from such a tool. In addition to that, it is also completely free of charge and makes email marketing a lot easier. I have been using it, after I had some issues with MailChimp and I was really surprised. These days, there are not a lot free tools around and this one is really great. Another good thing, worth to mention, is the excellent customer support. Their service staff does really everything, to please you and to help you with any questions or issues, you might have. Cons: SendinBlue in its free version lacks some important features. For example, there is no social media support, unless you get one of the paid plans. For bigger businesses, the free plan with its limited email support might also be an issue. In addition, there is no plan, that offers unlimited emails. Cons: - you cannot send a text with the TEST email. - you cannot have separated unsubscribe by the List. Overall: One of the best e-mail marketing tool!! Pros: The biggest advantage of this platform is the integration between the SMS and email campaigns that can be run from within the system. While engaging with the target audience through these two channels - Sendinblue proved to be very effective platform. Furthermore, what I also love the most is the intuitive and vivid main interface that lays out all the necessary details you need about the campaigns. What's more, the platform has such good feature as intuitive email builder, unlimited contacts upload, automation, etc. Overall, it's very good tool to use, moreover, if you do this mixed (SMS+Email campaigns). Cons: The only thing so far I disliked was re-activeness of the platform when it came to the point to send the emails. So, everything was ready and the platform then asked to verify the source of the email database. We do get it's totally right approach to avoid the spam databases, but we were totally mislead and basically were late to send out the campaign due to that. So, proactive messages about this while creating the campaigns would be good to have for other fellow marketers as we already learnt the lesson. Overall: Overall, with the certain project, Sendinblue totally proved its effectiveness. We are happy to have it found out and that started using. So far, everything is working beyond expectations. I recommend Sendinblue; it meets all of my needs and more. Pros: The colour (it's blue). Ease of use, range of automations, great value, efficient delivery and great customer service. Plus, it integrates well with Wordpress. Cons: I have found the template builder could use an 'idiot's guide', for me at least. Overall: As my list grew Mailchimp was going to be too expensive for me. What clinched it was the accusatory style of their emails whenever they considered that unsubscribes from my wholly legitimate opt-in list suggested that I breaching their standards. I evaluated Sendinblue over some months, and I'm really (no, REALLY) happy that I switched. Semdingblue is great value, flexible and does a lot more than I expected. I can automate things in my standard (cheapest) package, I get 40,000 emails a month, and when I've needed to contact them I have had amiable and informative personal responses, quickly, which has been so helpful. It took me a little while to get to grips with the Sendinblue template builder (hence 4 stars). This is probably due to my poor grasp of what I had to learn. I couldn't find instructions on a number of points so I had to work it out. I recommend Sendinblue as it looks like it meets all of my business needs and more. Recommendations to other buyers: See 'cons' above. Some time ago I emailed twice and got helpful replies quickly, but the instructions for the template builder (short videos if I remember correctly) missed out things like formatting images and some of the other functions. My slowness may have been due to my unfamiliarity... but I had to work things out which put me off initially. Great value. Shame the interface is rubbish. Cons: Where to begin.... the interface is awful, confusing, and makes you jump through far too many hoops to send an eshot and analyse the results. Worst of all the deliver-ability seems to be really poor. Overall: Quick to start use, importing is easy. Very reasonably priced. Drag and Drop editor works well. The rest leaves a lot to be desired, sadly. Hello Rick and thank you for sharing your user experience while using our platform. I'm sorry to hear that you had issues with the deliverability and interface of our platform. Deliverability is only partially about your ESP's reputation and has as much or more to do with your content, and engagement history. Unfortunately, as an ESP we don't have control over either of those things. We can instead assist you in improving your deliverability by discussing the changes you can make to see improvement. Regarding Interface, this is something we're always working on improving. We're sorry to see that you didn't like our interface now, but we're open to hearing what you didn't like and how we can improve! You can reach out to me personally by sending us an email to contact@sendinblue.com and including 'Mari' in the subject line so I know to grab your email personally. Pros: really easy drag and drop templates. Campaigns are easy to use and the dashboard is efficient. All the basics are implemented. Cons: I can't find all the marketing automation I needed. Not as complete as some competitors such as Mailchimp. 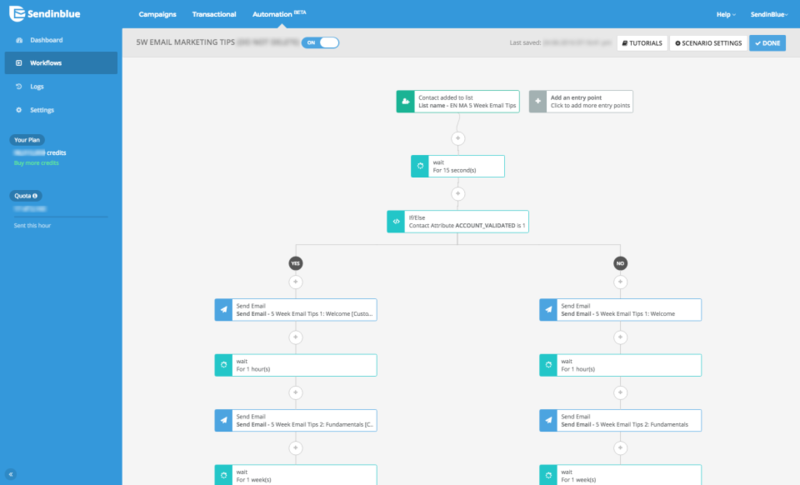 - Which types of marketing automation could we add to help you get the most use from SendinBlue? - Are their specific features we could add would help us serve you more completely (such as MailChimp)? 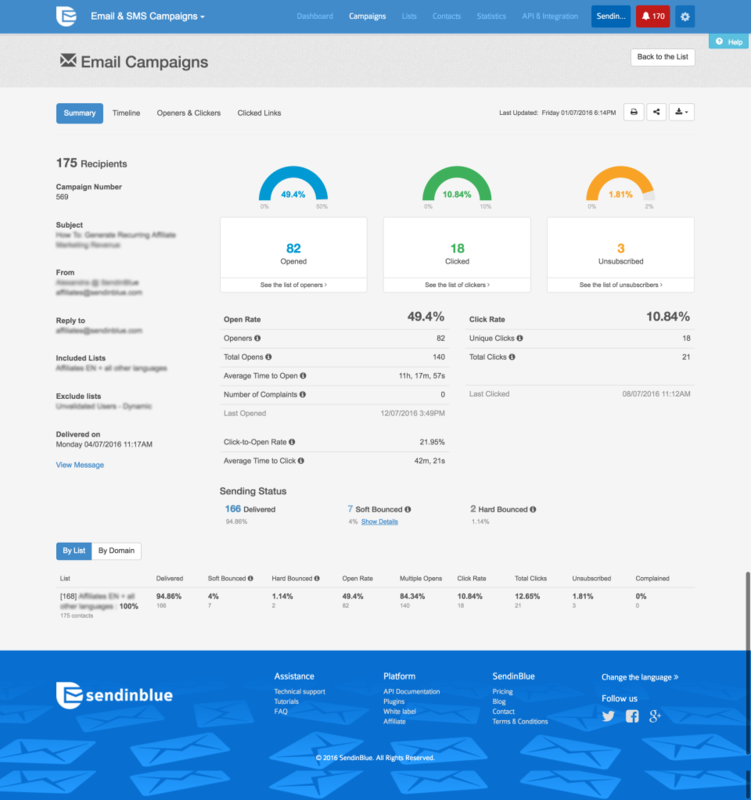 Pros: Sendinblue is a software for email marketing that includes an autoresponder, important for campaigns. It integrates with Google Analytics and with your WordPress what makes it different from the rest of its category. Sendinblue is powerful and intuitive, segments contacts and maintains a dedicated IP. Cons: I have not been able to think of something wrong with Sendinblue, it has so many good things and special features that make your work much easier, at a more affordable cost than other similar software. Cons: Lack of compliance with GUI standards. Overall: I am really happy I switched from MailChimp to Sendinblue. You are saving me a LOT of money each month and I really appreciate that. Because of the cost savings, I have been willing to spend some time learning to use your software. The main difficulty I have is the result of non-compliance with Graphical User Interface (GUI) standards. Nasa did much research, in the past, on how users process information and that resulted in Microsoft, back in the 1990s, developing a set of GUI standards. When followed, users feel very comfortable and always know, intuitively, how things get done with a piece of software. You have not always followed those standards, so one must poke around, try things, create tech support tickets, and wait for answers. All of which has taken me more time than I would have liked during my get-up-to-speed phase. But, now that I know how to navigate your environment, I'm quite happy. Not everyone, however, is a former programmer. So not everyone will come to your site, use it with ease, and sign up. In other words, the difficulty of use with the software will, in my opinion, cause you to loose customers. There is still one big "got-ya" for me. And that is backing out a change. The lack of an "Undo" feature. If I add a box, then decide I don't need it after all, I must delete the box. There is no Undo I can use. If I add a jpg, then decide another would look better. There is no way to Undo the action. I have learned I can simply drag another jpg over the original, but again, that took me awhile to figure out. So, in summary, my suggestion would be to do a bit of research about GUI standards and slowly enhance the product to bring it up to par. And also to add an Undo feature. There used to be a nifty little product called "GUI Guidelines". I just googled the name, but evidently the company went out of business. So, if my ideas hit home with you, probably the best bet would be to read up on Microsoft GUI standards, as they developed the standard. Recommendations to other buyers: All in my written summary. Industry (below) is Spiritual Teaching. Thanks for taking time to share your experience with us! I'm so glad that SendinBlue has been a good fit for your needs, now that things are up and running. Our team is always working behind the scenes to grow our tools with new features and improved designs, so that we can give our users the best experience possible. I¿ve shared both aspects of your feedback with our improvements team, so we can incorporate those into our upcoming updates. Pros: The support is good. Not too hard to use. Cons: I do not get alerts when people subscribe or unsubscribe. 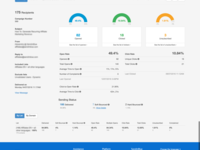 Overall: I recently switched to SendInBlue to save money and utilize the transactional functions offered with SendInBlue. Prior to this I was a MailChimp customer for years but their transactional costs were too high. Although SendInBlue is not as sophisticated as MailChimp, it does get the job done! Recommendations to other buyers: The way they count opens and clicks is different than Mailchimp. My click rate is lower in SendInBlue. Not sure why. We noticed that you have a question about the variance in open rates between SendinBlue and MailChimp. It looks like your campaigns are being well opened and delivered across most popular inbox providers, which is the first area we would check when concerned about your click rates. In that case, it may be due to a difference in how click rates are calculated between the two tools. On the other hand, SendinBlue does not automatically count all clicks as an open, since some softwares and social sharing may also generate clicks. I hope this information is helpful! Please feel free to email us at contact@sendinblue.com for additional assistance. Pros: Very affordable for volume that you can send. New features regularly. Can also easily purchase a dedicated IP which is not found in a lot of other ESP's. Cons: Campaign builder needs a lot of work, especially the templating . Other tools like MailChimp far exceed the capabilities in Sendinblue. Pros: Great software, easy to use. 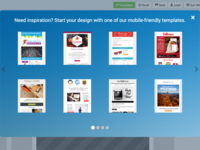 Email designer works great and makes creating good looking mails simple. Cons: Some things could be clearer. For example when a mail couldn't be send, it didn't give a helpful error, but had to contact support to figure out what was wrong. Overall: Great almost on par with mailchimp. Pros: I can automate, send custom emails, unsubscribe forms. Nice API, etc. Cons: Strict and Inefficient Customer support. They do not give you advanced notification when they disable your emailing (this happened when we had 2 fluke complaints). They literally just immediately turn it off. They promised to put it back after contacting however it didn't happen, it was a lie. For us still starting to use their service, we hoped there are adjustment times and consideration, that didn't happen. Overall: " We came to SendinBlue after a recommendation of a partner. We started using their services just fine and they have really good features. They initially gave us 40 emails per hour quota. Unfortunately, we received 2 complaints because of web scrapers/bots in our site, which we have since fixed after putting captcha and CDN. They suddenly turned off our emailing function without letting us know in advance. This caused mailing downtimes on our end especially that we moved to SIB already. It is very terrible they do not give prior notification! I explained that the complaints were just fluke and won't happen again. Then they promised us to put back the emailing to 40 per hour which I was happy and relieved as I will then be able to temporarily email my users. But it was a lie! Our emailing still didn't work and and instead they suggested to pay for their dedicated IP plans. We moved to using dedicated IP upon their suggestion but after that, they have fully disabled our transactional emails. And we already paid for the dedicated IP service. Up until now, we are not able to email and we paid already for their dedicated IP. Our customers are unhappy, support is slow and not efficient. " Comments: SendInBlue has been a reliable and budget-friendly provider for my email marketing. They respond to questions and provide prompt support. They have useful metrics and tools to analyze campaign data. Their email template tools provide a wide variety of flexibility to customize your look and feel and their tools work well consistently. They have good list and contact features, custom fields, import utilities, and ways to customize your opt-in processes. The one area that needs improvement is the ability to use their forms with other products for capture of customers to a list. I'm hoping that as they grow, they will also expand the ability to use their lists within other products such as pop-up forms, lightboxes, landing pages, and other types of marketing media. I am very pleased with their products and services and would recommend them to my colleagues. Pros: I like how theemail template builder works. Very straightforward to build and then launch a campaign. Love the fact it works also as a transactional email service to use on my clients website. Cons: The price could be a bit lower compared with the competition, but still not a deal breaker. Overall: I use it a lot build one my clients marketing campagns. Very intuitive to work with, so it saves me some time. I also use it as a transactional email service for many of my clents wordpress websites. Pros: They do list management better than other tools that cost way more. Features are regularly added. Pros: Excellent to communicate with our customers via Smart SMS or Email. This SaaS that does not need any installable software is simple, ergonomic and offers a great tool: Creation of interactive emails. It works very well with some addons, such as prestashop. Cons: It is not so customizable, which is a shame because it limits your interactive email system. Your workflow automation is slow, as is your database segmentation system. It has certain performance problems and slowness when used with Jimdo and Google Analytics. Overall: Sendiblue offers us good alternatives for a low and affordable price. It is good in many ways, and its platform is quite complete both by itself and by integrating plugins from other companies' platforms. We recommend it to small businesses. Comments: We started using Sendinblue over a year and half ago, with first some basic emailing needs. It was superior to other options for us as we could very easily select within our whole database who was going to receive an email. With a simple to use though powerful filtering capability (such as send this email to all prospects in the e-commerce field who already opened an email from us). Over the last 3 months we have been using their marketing automation features and they too are easy to use. Pros: Sendinblue offers competitive pricing and easy setup as well as the ability to have a dedicated IP at any account level. Cons: There are a number of features that are pretty standard now sendinblue does not offer such as A/B testing & Chat support. The drag and drop editor is pretty basic and navigation within the platform is unnecessarily overcomplicated. Pros: The pricing is much cheaper than Mailchimp but features are awesome. Very simple to set up and use. I much prefer the ease of use of the drag and drop editor. 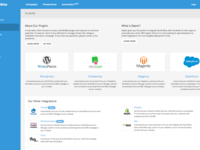 Cons: There are lot of integrations available in Wordpress but not quite as many as MailChimp. Common guys support this fab business and push integrators to include with Mailchimp. Pros: This platform is easy. And equally as important for a small biz with a tech department that includes ME (must be easy - too busy) is it is affordable. You get the bang for the buck. Because of other reviews, I was worried about the email validation - I did not have a high open rate on my old platform (Mad Mimi) and did not want to get "turned down" so I hesitated to open a send in blue account ( I have over 5,000 subscribers and growth just hit big time) - what if I go through all this and they say - we can't validate your list? Sorry. GOOD NEWS. I tried it anyway and less than 24hs after I sent my first campaign I was validated and ready to go. I signed up here just to review them because those other reviews were really scary and I want to assure YOU, the small biz owner like me, to go ahead and try it. Cons: I am having a great experience so far. I would like to be able to maybe add video - I understand the challenge AND would love a solution. Other than that minor add, I have to say - totally impressed. Effective email marketing application for promoting financial services. Pros: It is one of the effective tools for selling financial products through emails. It has well featured email editor which helps users to create customised email templates for marketing their products. Its deliverability is also one of the best in the Industry. Cons: Its API functionality is slightly tricky. And it requires technical knowledge. They should make it a little easy so that a non technical user can also operate it. Overall: It helps me to promote financial products like mutual funds and insurance. Comments: I've been using free version of SendinBlue for a while, I liked it a lot, so couple of month ago I signed up for the paid version. For $7 per month I can send up to 40,000 emails (no daily sending limit) and keep unlimited number of contacts (though you can have it with the free version too). I believe this is the best price on the market. Pros: Our team feels very comfortable to use it, not only because it is beneficial for teamwork but also because it is organizational and convenient. Cons: We do not like having to visualize all the tasks of each worker, this means that there is a distraction between each worker and that the visualization is less comfortable. Overall: We did not know that there would be no follow-up available although it was something that was not in our expectations, in the same way it is information that should be known. Pros: It has excellent features, such as the ability to handle transactional marketing, and has a large number of integrations available such as LinkedIn, prestashop, Wordpress and Shopify. Your workflow automation is excellent. Cons: It is not so good when it comes to managing shopping carts, and its contact segmentation engine for marketing campaigns is very little customizable and limiting. Its integration with google analytics is very slow. Overall: Sendinblue is undoubtedly the best reference marketing solution in the market. It is perfect for the implementation of marketing campaigns by email, and to send transactional emails (SMTP). Comments: My rate of delivery has improved significantly and no negative action logged. Open rates are up as well. Might I mention that their customer Service is unmatched in this space. I am a loyalist now to SIB. Pros: After testing several platforms I could not be more pleased with my decision to team up with Sendinblue. The templates are clean and simple in their presentation. In fact, my messaging has improved since using SIB. I have matched the clean and simple and results are proof it's working. Cons: Some old habits take a while to break. I wish There was a bit more flexibility in the builder such as laying text over images. Not a big issue. Pros: I was lookin for an email campaign software, and I was importing my own dbl-opt-in list of leads. The Process of importing CSV files was easy enough,once the format was figured out. The templates were a little bulky for emails on mobile devices. Cons: The company never completed a single campaign during the trial month. They returned zero analytics. There was no customer service, and technical service was non-existant. Overall: I learned the challenges of this style of campaigning, and will look for companies that address those weaknesses better. Hello Brooks and thank you for sharing your feedback. All accounts on our platform go through a validation review process where accounts are electronically and manually reviewed by our representatives. I'm sorry for the frustration as it sounds like this didn't happen for your account. If you would like to explore the platform once more and attempt validation, please reach out to us at contact@sendinblue.com and include 'ATTN: Mari' in the subject line so that I know to grab your ticket. I hope to head from you! Pros: Their price structure is based on the number of emails a business sends, not how big your database is. We had a growing list of customers and the monthly price we were paying to store names and email addresses with another well-known company kept increasing, even though we had very few email campaigns. Cons: I can't think of anything about this software that I don't like. 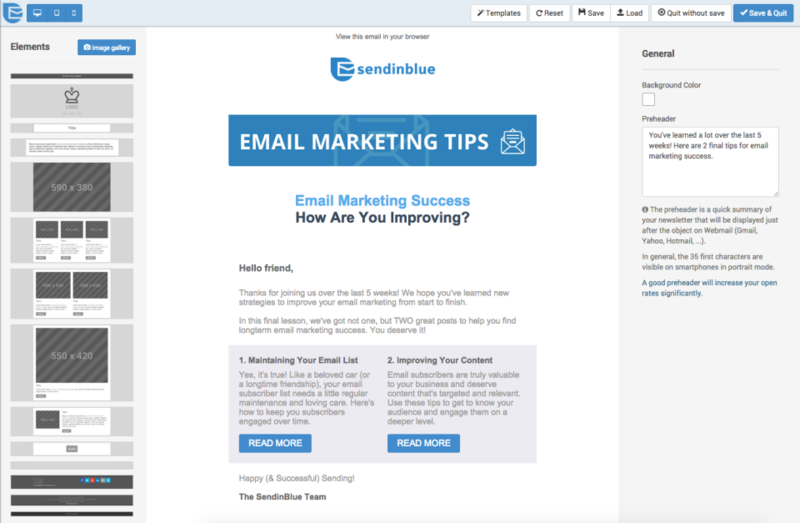 Overall: When we sent out our first email campaign with SendinBlue, we found that the tool they provide for creating your email was very easy to use. When we have a question, their customer service team has been very quick to get us an answer. Great Product when you have a large list but don't send enough emails! Overall: Saved a good amount and I'm not pressured to send an email when we don't have anything to say... We collect emails all year for just 2 of the 4 seasons so it fit our business model perfectly! Occasionally we will have some slight issues changing a background or button font but aside from that it is pretty standard. Pros: Nice app with so much features related to email marketing. Make easy campaigns and drag and drop system. Easy to use. Free version also available. Cons: Integration with small number of apps. Not available on android. Can be improved with more features. Overall: I run large mailouts for bands which I have used several systems including Gammadyne and other self hosted solutions. SendInBlue was a little tricky to get set up, using a dedicated IP address and the necessary domain settings but has work flawlessly now with a much better opening and click through rates than before. The wysywig editor is a breeze and renders consistently on all platforms. Finally the analytics are excellent, the clients love the reports. Recommendations to other buyers: Initial setup was delayed due to the need for authorisation. This caused a 24hr delay which was unexpected! I'm sorry that you had some challenges during the IP setup process, but very glad to hear that you're seeing improved results! If you run into any additional questions, or would like to share more feedback with us, please don't hesitate to contact our customer care team. You can reach us anytime at contact@sendinblue.com -- we'll be glad to help! Cons: Not always easy to see how many emails left for the month. There is a display of "emails sent this month" which looks to be a calendar month but there is an overlap as the accounting month ends on the anniversary of the first payment. This causes a delay in sending some email until the next billing period. This might be an issue if you were sending time specific offers. Comments: We have used Sendinblue for a number of campaigns now and it was always easy to import data, and review stats of the sent campaigns. Some information requires a higher level of membership to be made available, but if you want an easy and fast software for mailshots to your customers, then it's worth having a look at it. Contacts and list management is very easy. Perhaps the customisation of emails can be done better, and a few email servers will filter messages as spam, but I've seen that happen with all other mass mailing services. - too strict on bouncing and complained rate. I was basically forced to purchase a dedicated IP address. Overall: I've been using SendInBlue for about 6 months now to send more than tens of thousands of emails. Overall, my experience has been positive. The platform has lot of features and I particularly love the Automation bit. One thing I believe can be MASSIVELY improved is the UX. The platform is often confusing to navigate and after a couple of clicks I almost get lost. I think with the right improvements it can become a tremendous platform. Good value for money overall. Comments: Easy to work with, lots of statistics. Only downside is that in some cases I don't have much freedom with block styling / build up. Our team is always working behind the scenes to grow our tools with new features and improved designs, so that we can give our users the best experience possible. I'll be sure to share your feedback about the email builder with our team, and I'm happy to confirm that we already have some exciting improvements in the works. Stay tuned for those very soon! Pros: The dashboard is very helpful and the user interface is simple and straightforward. I like the fact that the limits on emails allowed to send is higher than other tools and they don't nickel and dime you. Great price for the value. Cons: HTML templates are a bit limited in some ways and not as easy to edit as other automation tools. I also love that you can trigger emails based on website activity. You don't normally get this type of function unless you go to one of the higher priced tools on the market. Pros: Sendinblue has been a nice e-mail marketing tool for a small business as ours. We found the support team to be very responsive, and we love how you can optimize e-mails for mobile devices. Sendinblue also offers great reporting and analytics. This program is great as it also allows you to reach customers by text in addition to e-mails. Cons: The provided templates are not as eye catching as we would like. Also, we have found that the setup of each e-mail is a bit tedious at times. Pros: 1- They are really sensitive that users have a good opt-in policy and they are caring not to be a spammer! 5- Creating New Styles for emails and even the ability of adding User WebFonts which is really valuable for Non-English languages. 6- Writing HTML code for every element of email. 2-They are to some extent slow in their customer support. 3-They evaluate the mailing list source after testing and designing emails. if they are not sure about the validity of a customer, it's better that they evaluate him at first and after evaluation let him to or not to work with their system. Pros: Low price, basic funcionality makes it easy, very clear settings. Customer service is fine so far. Cons: Speed, reporting tools, too basic when it comes to social networks. Overall: If you need to send emails without worrying too much about reporting or automation (e.g. interaction with social network, automatic posting on SN's is poor) sendingblue is a decent tool. I would improve speed, as i noticed that opening a link via email is much slower than opening a regular link on my site. In this respect SB is lagging behind competitors (mailchimp mainly) who offer better service, but for a much higher price. The strenght is the low cost. Please improve reporting and speed!!! Good job so far. Recommendations to other buyers: Make it faster and improve reporting for paying customers, even for SME's like mine with few subscribers. Can be rewarding in the long term for SB. I'd swich to a competitor if they would offer those features with the same price point. Thank you so much for taking time to share you experience with us! Hearing from our users is the best way for us to learn, and to improve our tools and your overall experience. I will share both aspects of your feedback with our team, so we can work on improvements for future updates.